Sri Lanka Telecom successfully powered #ConnectSL interactive forum: Know your social ID? Sri Lanka Telecom (SLT), the leading ICT Service provider and the largest broadband service provider in the country successfully launched #ConnectSL, a knowledge sharing interactive forum to share information on industry changes and latest technologies with SLT’s Broadband customers.. 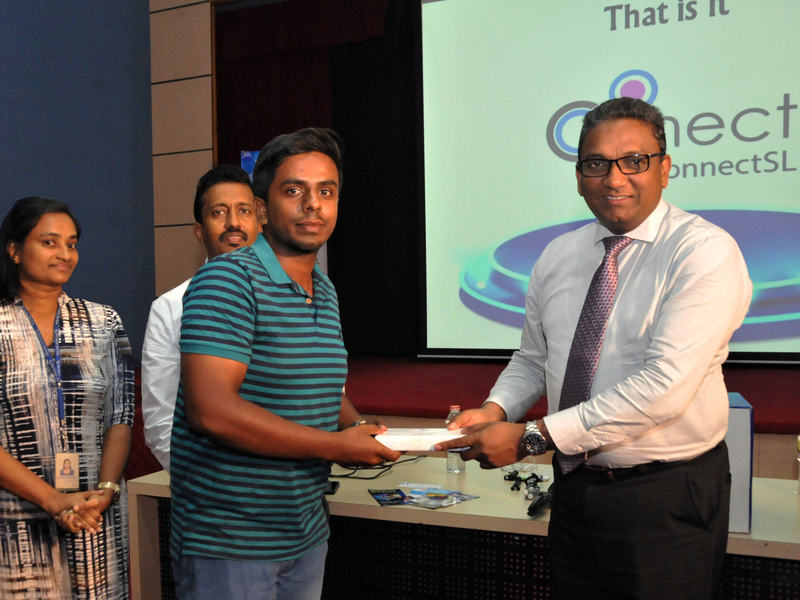 The first ConnectSL session, titled “Know your social ID?” was successfully conducted recently at the SLT Auditorium in Fort with the participation of SLT’s loyal broadband customers from different companies, industries as well as tech savvy individuals.The speaker for the programme was Prasad Perera, a renowned social media marketing consultant, activist, micro-blogger and business strategist. #ConnectSL conducted under the theme “Know your social ID” focused on making the public aware about their unique “Social IDs” and how it affects their day to day lives, even down to their employability. It also discussed about how social media has evolved today to become not just a trend, but a fundamental marketing technique, which is not only relevant to business organizations, but also to individuals and their unique “personal’ brands. SLT, being the largest broadband service provider in the country will be conducting many more #ConnectSL sessions with the main vision of sharing timely information and knowledge with SLT’s valued broadband customers. These forums will be the ideal platform for individuals to gain important knowledge and insights from industry experts on timely topics. Follow SLT’s Facebook page to get connected and find out more information about upcoming workshops/training sessions.